A British doctor might lose his job for recommending that one of his patients pray to Jesus Christ of Nazareth in order to recover from his condition. Often-times such cases are fairly clear-cut and violate some law or other designed to protect people from the imposition of religion and to ensure professional conduct, but the case at hand is a little trickier, and there are many things about it that deserve closer scrutiny. It is always a good idea to bar doctors from proselytizing to patients, but, to be fair, some practices make their religious affiliation known at the outset, governing bodies often target individual doctors while overlooking the religious nature of the practice itself, and there is some research suggesting that prayer and meditation have certain health benefits. During a routine consultation in his office in Margate, on the Kentish coast, Dr Richard Scott, a former missionary turned general practitioner, suggested that the 24 year-old consider prayer, meditation, and reflection—specifically with Jesus in mind—in order to alleviate his condition. When the patient told his mother what Scott had suggested, she became outraged, accused the doctor of imposing religion on a vulnerable patient, and filed a formal complaint with the General Medical Council, which regulates medical practices in Britain. The GMC issued Scott a formal warning, which he rejected. According to Corky Siemaszko of New York Daily News, Scott told British newspapers, “I only discussed mutual faith after obtaining the patient’s permission” and “[i]n our conversation, I said that, personally, I had found having faith in Jesus helped me and could help the patient. At no time did the patient indicate that they were offended, or that they wanted to stop the discussion”, adding that, had that happened, he would have ended the conversation immediately. But why all the fuss over a simple recommendation to pray? Normally it would seem fair to reprimand a doctor for making such a recommendation, but not necessarily so in the present case, for at least three reasons. The first reason is that the practice Scott works for is open about its Christian values, so any patient seeking treatment from the practice would be aware of its Christian teachings and principles at the outset and would have the choice whether or not to seek treatment from such a place. According to Laura Passi of the medical publication Pulse, Scott stated, “[i]t’s well known that we’re are [sic] a Christian practice” and “[i]t’s completely explicit on the NHS Choices website, on our practice leaflets and on a plasma screen we have in the waiting room”, adding “that says that doctors are very happy to talk about faith issues but there’s absolutely no compulsion”. 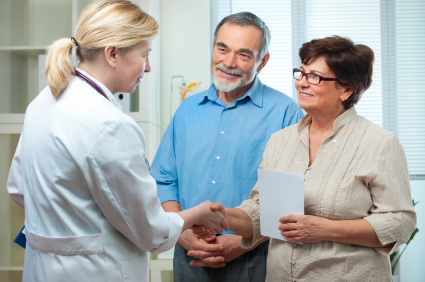 If a patient realizes that a practice is openly Christian, but that patient goes ahead and seeks the services of that practice anyway, it does not make much sense for that person to complain later about the Christian influence. It would make much more sense for him or her simply to avoid such a practice in the first place and seek the services of another, secular practice, of which there are plenty. The second reason why reprimanding Scott would be unfair is that medical practices themselves are allowed to invoke religion, so it only makes sense to allow individual doctors to do so as well. 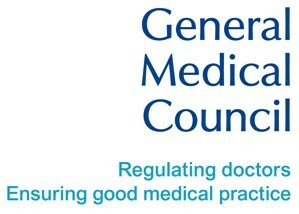 If the GMC prohibits doctors from invoking spirituality as a form of healing or medical treatment, it should prohibit medical practices in general from doing so. Scott’s practice should not be allowed to distribute leaflets, host a Web site, or install plasma screen television sets that state the Christian values of the practice, for it is the same expression of religious faith whether coming from a plasma screen or a doctor’s mouth. However, apparently the GMC has no problem with practices invoking religious faith, therefore it should either bar both doctors and practices from doing to, or allow both to do so. But it is not exactly fair to punish a doctor for suggesting that a patient pray when the leaflets in the clinic lobby suggest the very same kind of thing. Finally, the third reason why it would be unfair to punish Scott for his actions is that there is some suggestions that prayer, meditation, and religious thoughts might actually be beneficial to one’s health. In a previous blog entry, we discussed a study conducted at the University of Toronto Scarborough, and published in Psychological Science, which suggests that religious thoughts may help reduce stress. Of course, even if the evidence supports this theory, any recommendation to pray or meditate should be as secular and neutral as possible, without any attempt on the part of the physician to impose a particular religious viewpoint on the patient. Any such recommendation should serve a purely practical purpose. In short, it seems unfair for the GMC to punish a doctor just because that doctor recommends that a patient pray in order to recover from his or her illness. First, the patient would have been aware of the Christian nature of the practice and had to choice to decline its services; second, if individual doctors should be barred from prescribing prayer, entire practices should also be barred from stating their religious faith; third, we must acknowledge arguments suggesting that prayer and meditation might actually be good for one’s health. At the same time, however, we must remain vigilant in preventing unwanted or inappropriate religious imposition in medicine—it must always be a choice—because such imposition can actually exacerbate stress or anxiety in a vulnerable patient, and this certainly has no medical benefits. In fact, we would like to hear your arguments in support of barring physicians from discussing religion with their patients.